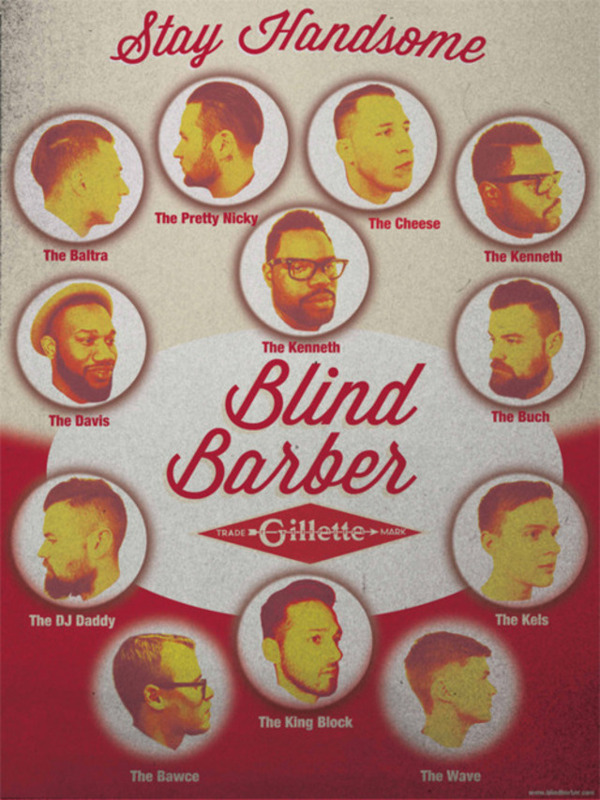 The Blind Barber, founded by Jeff Laub and Adam Kirsch, located down in the East Village (LA too) have partnered with Gillette to open a pop up shop on the 8th floor at Milk Studios throughout the duration of New York Fashion Week. (A.K.A. #NYFW) I must say I have not ever considered going under the cloth in the midst of Fashion Week, it’s already stressful enough. 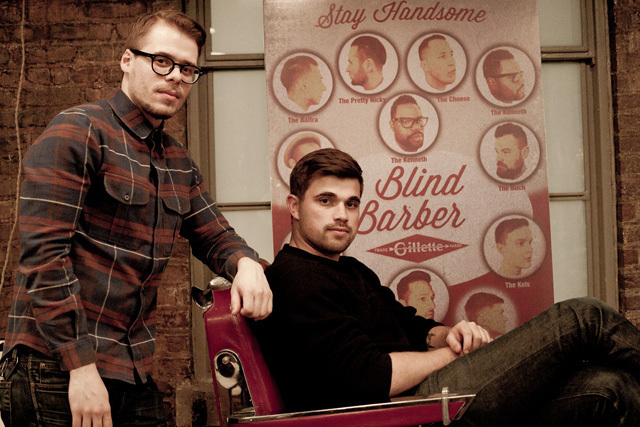 But, if I had to in a pinch, there isn’t much risk in letting these chaps trim you up between show stretches. You can even sip on a cocktail or two while you’re at it, you know to help smooth the edges a bit. Swing by and have them do their thing… you might even look better for it. Below are their hours throughout the week. Thursday 2/9, 9-11:00 p.m. Friday 2/10, 2:30-11:30 p.m. Saturday 2/11, 6- 9:30 p.m. Sunday 2/12, 12:30 8:30 p.m Monday 2/13, 4- 8 p.m. Tuesday 2/14, 1:30-6 p.m. Wednesday 2/15, 5- 8 p.m.